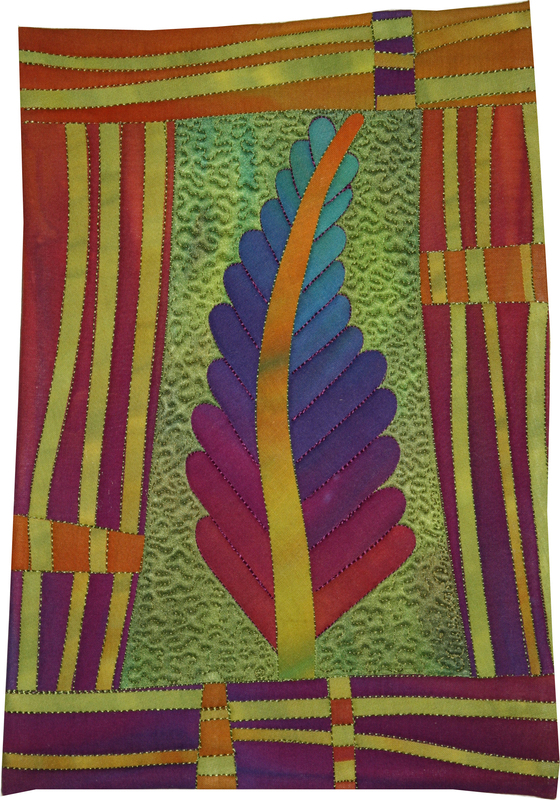 SAQA is an international non-profit organization dedicated to promoting the art quilt and the artists who create them. 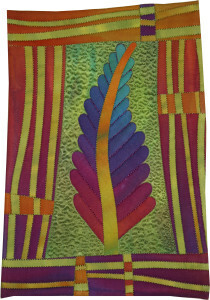 We are an information resource on all things artquilt related for our members as well as the public. Founded in 1989 by an initial group of 50 artists, SAQA members now number more than 3,000 artists, teachers, collectors, gallery owners, museum curators and corporate sponsors. A dedicated core of volunteers and staff keep the organization vibrant, dynamic, and progressive. ANYONE can belong to this group. There are many different ways that you can be a member. I am what is called an Juried Artist Member, but there are lots of other opportunities to be a member of this fantastic group. I just finished a very small quilt (7″ x 10″)that will be traveling to promote SAQA as an organization. The 2014 Anniversary Trunk Show will premier at the 2014 SAQA conference in Washington, DC, and then travel all across the United States and around the world. A group of quilts from this exhibition will be chosen by jurors Linda Colsh and Margaret “Peg” Keeney to become a permanent part of the collection of the National Quilt Museum in Paducah, Kentucky. This is just one of the reasons that I am a member of SAQA. Do you need to be a member too? I hope you will check it out and decide to join this fantastic group that offers so many opportunities to Art Quilters. 7″ x 10″ fused collage quilt made from artist hand dyed cotton and silk fabric.